Soviet plan for Operation Polyarnaya Zvezda in the context of the wider offensive in the northern and central parts of the front. 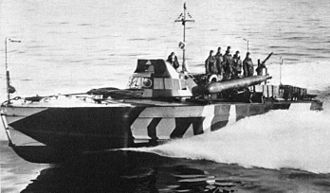 Operation Polyarnaya Zvezda (Russian: Операция Полярная звезда, Operatsia Polyarnaya Zvezda; English translation: Operation Polar Star) was an operation conducted by the Soviet Leningrad, Volkhov and Northwestern Fronts in February and March 1943. 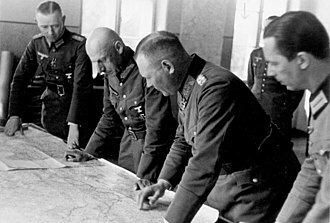 The operation was planned by Georgy Zhukov in the wake of the successful Operation Iskra and envisaged two separate encirclements. One was to be carried out in the north by the Leningrad and Volkhov Fronts near Mga and one was planned to be carried out further to the south, by the Northwestern Front, near Demyansk. The operation succeeded in recapturing the Demyansk salient but failed to encircle the German forces. The northern part of the operation failed, without gaining much ground. 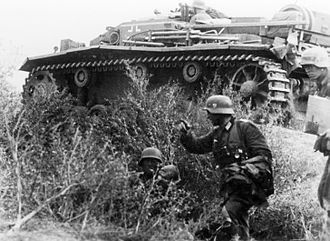 With the battles in the south near Kharkov and, later, Kursk using reinforcements for both sides, the frontline near Leningrad stabilised until July 1943. The German's successful evacuation of the Demyansk salient before the battle shortened the frontline enough to build several new defensive lines, bringing the eventual Soviet offensive to a halt. 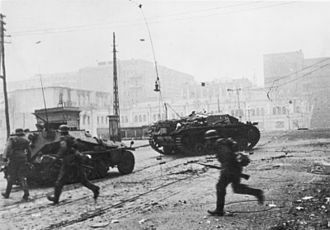 Although Zhukov made several attempts to reinvigorate the offensive throughout March, it was clear the his fronts were too exhausted to advance further. The spring thaw marked the end major battles on the Eastern Front until July. The defences of Army Group North was later broken in January 1944, during the Leningrad–Novgorod Offensive. 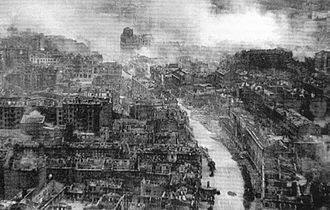 The relative failure of the operation compared to successes at the Battle of Stalingrad or Operation Bagration resulted in silence on the topic after the war. 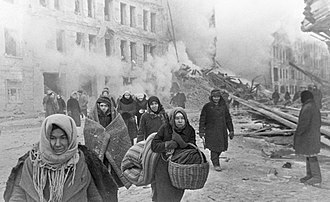 Neither Zhukov's or Meretskov's memoirs make any mention of the operation or even of any specific fighting in the area after 18 January, the day the blockade of Leningrad finally ended. 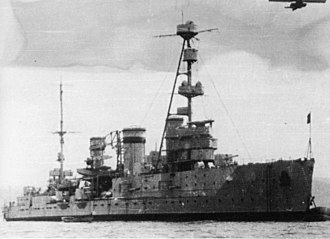 Zhukov's memoirs include only a short mention of the recapture of the Demyansk salient without any word on his role on the operation and then quickly focuses upon the Battle of Kursk. Army Group North, despite holding the line, was not in a good position. With other endangered fronts a priority for the Heer and with the Continuation War ending hostilities north of Leningrad, Group North was increasingly isolated and stretched thin. 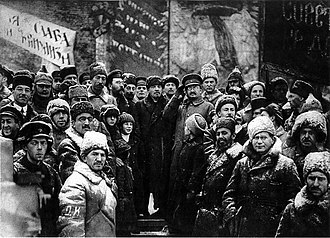 The end of the blockade of Leningrad moreover, increased the armament strength of previously isolated Soviet forces. 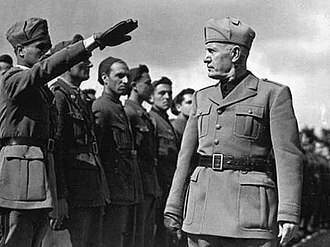 The army group's strength would continue to drop throughout 1943, while the opposing Soviet forces would grow in strength. 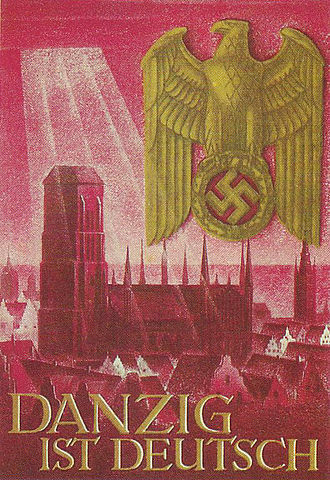 The growing disparity in strength eventually allowed new offenses to break the German line in 1944. Glantz, David M. (2009). After Stalingrad: The Red Army's Winter Offensive 1942-1943. Helion and Company. ISBN 978-1-906033-26-2. Исаев, Алексей Валерьевич (2006). Когда внезапности уже не было. История ВОВ, которую мы не знали. (in Russian). М. Яуза, Эксмо. ISBN 5-699-11949-3. Lake Ladoga is a freshwater lake located in the Republic of Karelia and Leningrad Oblast in northwestern Russia just outside the outskirts of Saint Petersburg. It is the largest lake in Europe, and the 15th largest freshwater lake by area in the world, Ladoga Lacus, a methane lake on Saturns moon Titan, is named after the lake. In one of Nestors chronicles from the 12th century he mentions a lake called the Great Nevo, ancient Norse sagas and Hanseatic treaties both mention a city made of lakes named Old Norse Aldeigja or Aldoga. 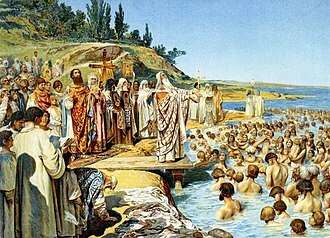 Since the beginning of the 14th century this hydronym was commonly known as Ladoga, according to T. N. Jackson, it can be taken almost for granted, that the name of Ladoga first referred to the river, the city, and only the lake. 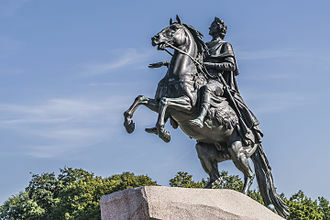 Therefore, he considers the primary hydronym Ladoga to originate in the inflow to the lower reaches of the Volkhov River whose Finnic name was Alodejoki river of the lowlands. The Germanic toponym was soon borrowed by the Slavic population and transformed by means of the Old Russian metathesis ald- → lad- to Old East Slavic, Ладога. Other theories about the origin of the name derive it from Karelian, aalto wave and Karelian, aaltokas wavy, or from the Russian dialectal word алодь, meaning open lake, eugene Helimski by contrast, offers an etymology rooted in German. Through the intermediate form *Aldaugja, Old Norse, Aldeigja cam about, the lake has an average surface area of 17,891 km2. Its north-to-south length is 219 km and its width is 83 km. Basin area,276,000 km2, volume,837 km3, there are around 660 islands, with a total area of about 435 km2. Ladoga is, on average,5 m above sea level, most of the islands, including the famous Valaam archipelago and Konevets, are situated in the northwest of the lake. Separated from the Baltic Sea by the Karelian Isthmus, it drains into the Gulf of Finland via the Neva River, Lake Ladoga is navigable, being a part of the Volga-Baltic Waterway connecting the Baltic Sea with the Volga River. 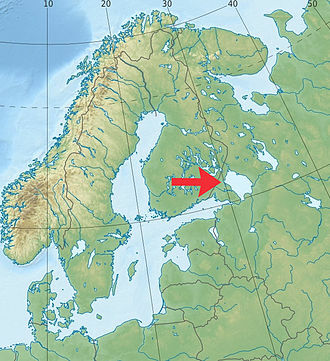 The Ladoga Canal bypasses the lake in the part, connecting the Neva to the Svir. The basin of Lake Ladoga includes about 50,000 lakes and 3,500 rivers longer than 10 km, about 85% of the water inflow is due to tributaries, 13% is due to precipitation, and 2% is due to underground waters. A much larger pocket was simultaneously surrounded in Demyansk, about 100 km to the northeast. 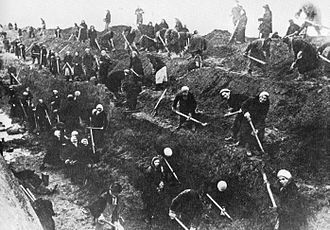 These were the results of German retreat following their defeat during the Battle of Moscow, at the small Kholm pocket,5,500 German soldiers held it for 105 days. The pocket was supplied by air, but was too small for planes to land, supplies had to be dropped in, among the airdropped supplies were 35 of the first 50 prototype MKb 42 rifles. The German units in the pocket were mainly part of, 218th Infantry Division Reserve-Polizei-Bataillon 65 Infanterie-Regiment 553 Parts of the 123rd Infantry Division Jagdkommando 8 III, bataillon of the Luftwaffenfeldregiment 1 German forces made three attempts to relieve the pocket, in January and May 1942. 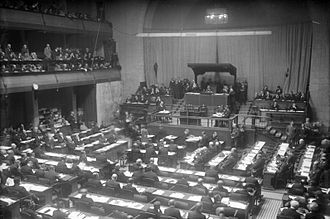 While the first two failed the third one was successful, with the German forces in the pocket reduced in number to 1,200 by then. 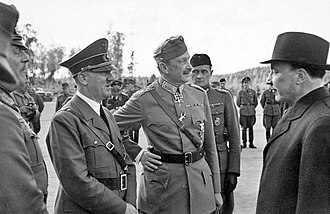 In July 1942, the Cholm Shield was awarded to the German defenders of the pocket, upon the suggestion of Generalmajor Theodor Scherer, Scherer was personally awarded the Knights Cross of the Iron Cross with Oak Leaves by Adolf Hitler for the command of the defense of Kholm. It is known in Soviet historiography as a part of the border defensive battles. 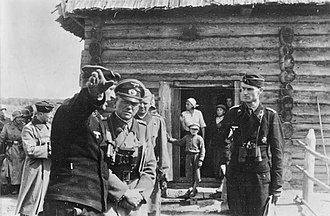 Although the Red Army formations inflicted heavy losses on the German forces, 1st Panzer Group, led by Generaloberst Paul Ludwig Ewald von Kleist, was ordered to secure the Bug River crossings and advance to Rovno and Korosten with the strategic objective of Kiev. It deployed two Corps forward and advanced between Lviv and Rovno in an attempt to cut the Lviv–Kiev railway line, thus driving a wedge along junction point between the Soviet 5th and 6th Armies. 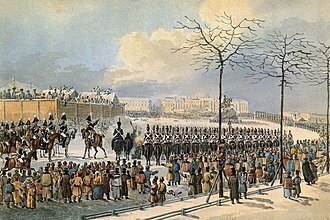 The Southwestern Front, under the command of General Mikhail Kirponos, had received intelligence on the size. 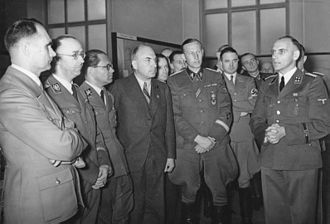 They were surprised when Stavka ordered a general counter-attack under the title of Directive No.3 on the authority of Chief of General Staff Georgy Zhukov, most of the headquarters staff were convinced that the strategy would be to remain in a defensive posture until the situation clarified. 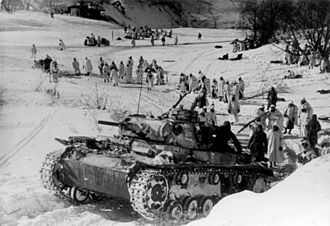 The general orders of Directive No, six Soviet mechanized corps, with over 2,500 tanks, were massed to take part in a concentric counter-attack through the flanks of Panzer Group 1. To achieve this, the 8th Mechanized Corps was transferred from the command of the 26th Army, positioned to the south of the 6th Army and this essentially brought all the mobile assets of the Southwestern Front to bear against the base of von Kleists thrust toward Kiev. The primary German infantry formation operating on this sector of the front, at the beginning of Operation Barbarossa, German armor was composed of a mix of Czech and German tanks, as well as small numbers of captured French and British tanks. Furthermore, nearly 50% of the tanks deployed by the Wehrmacht were the virtually obsolete Panzer I, of the 4000 armored vehicles available to the Wehrmacht, only 1400 were the new Panzer III and Panzer IV. 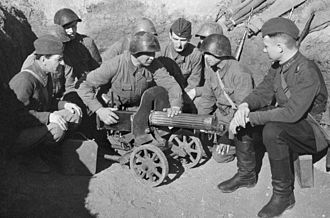 In the first few hours of the invasion, German commanders were shocked to find that some Soviet tanks were immune to all anti tank weapons in use by the Wehrmacht, during pre-war exercises, Heinz Guderian noted that on their own, tanks were very vulnerable to infantry. While dispersing tanks among infantry formations solved many of the tanks weaknesses, at the beginning of June, the Red Army included over 19,000 tanks in their inventory, most of them light tanks such as the T-26 or BT-7. 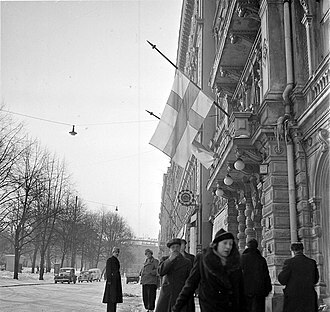 At the same time, German forces were planning Operation Northern Light to capture the city and link up with Finnish forces. 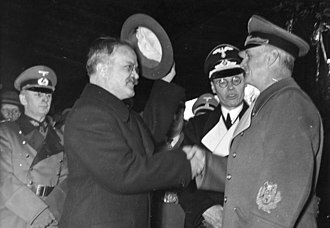 To achieve that heavy reinforcements were arriving from Sevastopol, which the German forces captured in July 1942, both sides were unaware of the others preparations, and this made the battle unfold in an unanticipated manner for both sides. The Soviet offensive began first in two stages, the Leningrad Front began the offensive on August 19 and the Volkhov Front launched the main offensive on August 27. 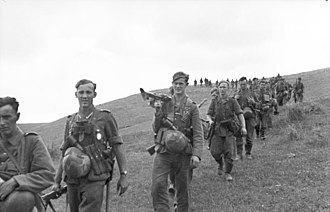 From August 28, the German side shifted the forces which were building up for their own offensive to gradually halt the Soviet offensive, initial German counterattacks failed, but the Soviet forces could not advance either. After a ten-day stalemate, the significantly reinforced Germans launched a counterattack against the Soviet forces on September 21, after five days of heavy fighting, the German forces linked up and cut off the bulge formed by the Soviet offensive. 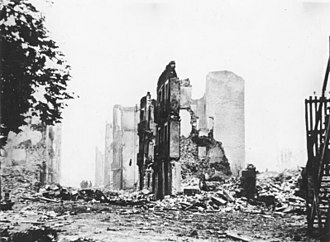 By October 10, the front line returned to the position before this battle, heavy fighting continued until October 15, in the end, the Soviet offensive failed, but heavy casualties caused the Germans to order their forces to assume a defensive stance. 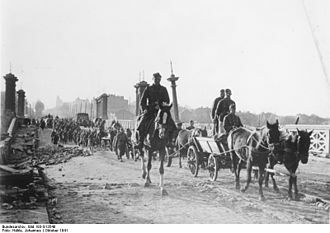 In November, the German reinforcements and other units were stripped from Army Group North to deal with the major Soviet offensive at Stalingrad, the Siege of Leningrad started in early autumn 1941. 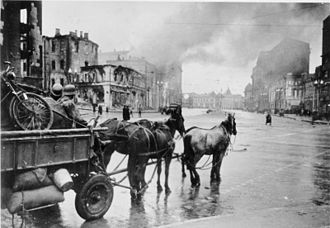 By September 8,1941, German and Finnish forces had surrounded the city, cutting off all routes to Leningrad. 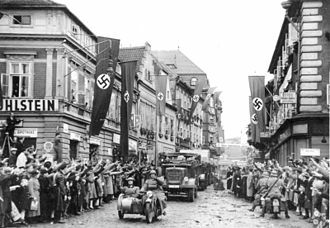 However the original drive on the city failed and the city was subjected to a siege, during the winter 1941–42, the city was partially supplied via the Road of Life over the frozen Lake Ladoga, which allowed the defenders to continue holding out. 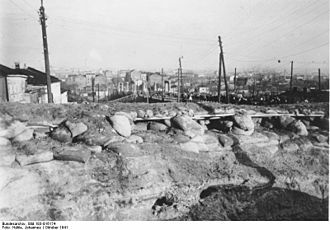 Soviet forces tried to lift the siege, which was causing damage to the city. 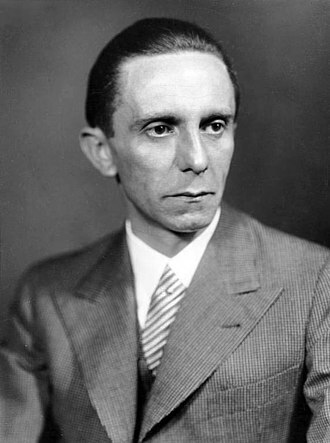 The Road of Life was frequently disabled by regular German airstrikes, several smaller offensives were launched in 1942 in the region, but failed. 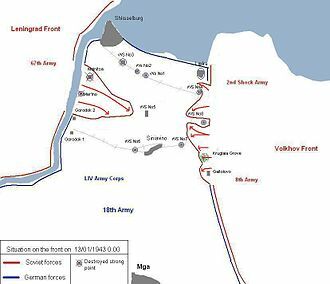 The last offensive near Lyuban resulted in the encirclement and destruction of most of the Soviet 2nd Shock Army, the opening of a supply route to Leningrad was so important that preparations for the new operation began almost immediately after the defeat at Lyuban. A typical road for vehicles on the Volkhov Front.